1989 was the year of remarkable popular uprisings throughout the world, most notably Tiananmen Square, the fall of the Berlin Wall, and the Velvet Revolution in Czechoslovakia. December saw the fall of one of Eastern Europe’s most brutal dictators, Nicolae Ceaușescu and it did not come peacefully. Rank-and-file members of the military switched, almost unanimously, from supporting the dictator to backing the protesting population. Rioting in several Romanian cities forced Ceausescu and his wife Elena, who was also Deputy Prime Minister, to flee the next day. They were quickly captured, tried, and then executed on Christmas Day 1989. The death penalty was then quickly abolished by the new government. The National Salvation Front, led by Ion Ilescu, quickly took power and were elected in a landslide the following May; the new government implemented a series of economic and democratic reforms. Romania became a member of NATO and the European Union in 2004 and 2007, respectively. Frederick Becker was the Romania Desk Officer from 1988-1990; he was interviewed by Charles Stuart Kennedy beginning in 2004 Virginia Carson Young, interviewed by Kennedy beginning in July of 1992, describes her time actually living in the Embassy during the revolution and rescuing people. Richard A. Virden, interviewed by Kennedy in 2011, discusses the immediate aftermath of the Revolution. Read other Moments on Romania. BECKER: [In October and November 1989 there was] virtually no change. 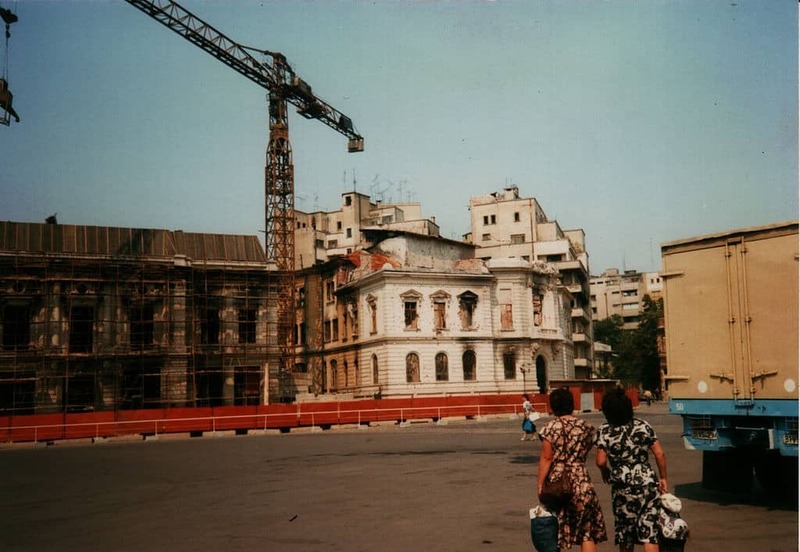 Ceausescu had built an empire on his own. The internal Stalinist dynamic if you will did not depend upon Soviet might. The Secret Police were an ever-present glue that kept Romanian society in place. Ceausescu, who had never bowed to events that had gone on in the rest of the Bloc, was not about to do so again. I visited Romania on an orientation trip in November of 1988, having just come onto the desk, and found it if anything a great deal bleaker than it had been when I had served there in the ‘70s. Bucharest was always bleak. They burn a lot of soft coal and in the wintertime the environment was sooty and murky 24 hours a day. 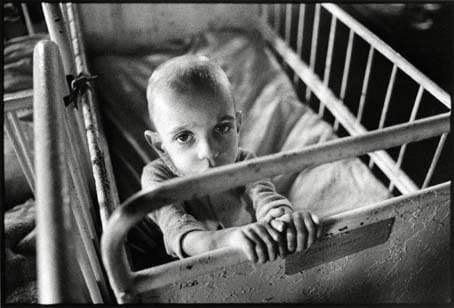 The fact is that the Ceausescu regime deprived the population of all of the basic comforts, heat and light in the dark days of winter and certainly any kind of quality food products on the shelves. I remember inspecting the shops at that time. I saw Chinese canned sardines and cabbage and very little sign of meat, fresh fruit or vegetables. It was a terribly depressing environment. I remember thinking to myself that these people have virtually reached rock bottom and judging by what ferment is going on elsewhere, it’s a matter of time before something significant will happen here. But nobody at that time, not even the Romanian desk officer, could predict that Romania any time soon was going to go the same route as the neighboring countries. Again, Ceausescu had built up his own system of repression and control which was not dependent on the winds of change in the rest of the East Bloc, and those controls were remarkably effective. There was no visible magnet for opposition and the population appeared to be thoroughly beaten down by their circumstances…. Romania was celebrating its national day in the great plaza in Bucharest, where Ceausescu gave his annual harangue a la Fidel Castro, expounding on what a great harvest Romania had had and what tremendous relations Romania had with the rest of the world and how they were going to defy the retrograde trends that were infecting and infesting other countries and all the glowing developments that had virtually no relevance and certainly rang very false to the Romanian people. What happened was a groundswell of protest, quite spontaneous, in which Ceausescu was shouted down by the hundreds of thousands of people who 305 had been summoned, bused in as they always were to these events to be the passive witnesses to this repetitive call to national unity and follow-the-leader. He was in fact shouted down. He ended up retreating back from the balcony, while the police and security forces stepped in and quelled an incipient civil protest for the first time in anybody’s memory. This happened about six or eight weeks before the roof ultimately collapsed in December…. After this national day surprise, the embassy started to gear itself up for what could be more of the same. There emerged a general consensus on the desk, in the analytical community and from embassy reporting that unlike the rest of Eastern Europe, if anything happened in Romania it would not be evolutionary or nonviolent because it was no basis for an evolutionary, nonviolent transition in the Romanian context. It was either going to be more of the same, and we were still betting that it was going to be more of the same, or it was going to be violent and nobody was prepared to predict how that might turn out. When there was a protest,…it started out in Timisoara, which was the far western provincial capital, a multi-ethnic part of Romania near the Yugoslav border. There were a lot of Hungarians, a lot of Serbs, Germans as well as ethnic Romanians. Ethnic Romanians tended to stick with Ceausescu more than the other nationalities because as time wore on, Ceausescu and his family tended to play the Romanian card as had many previous Romanian rulers. He blamed the minority nationalities for all the country’s problems. The minorities, who had resided side by side with the Romanian majority for centuries, were portrayed as alien and indeed hostile to Romanian sovereignty, national unity, and cultural purity. When things got tough, it was the ethnic minorities who bore a lot of the brunt. 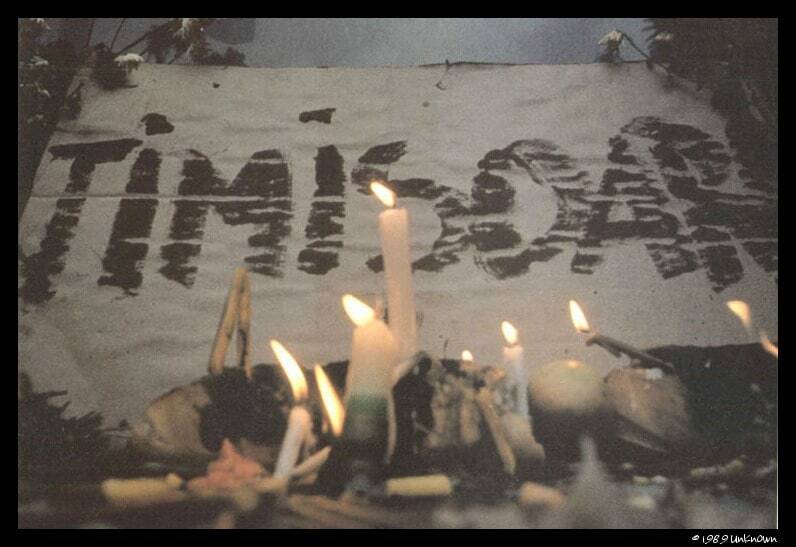 In Timisoara, there was a clash between local security forces and elements of the local populace. I seem to think there had been a spontaneous demonstration, a march to a cemetery to pay homage to some citizens who had fallen victim to security police excesses. The march was repressed violently. This time the whole province blew up and indeed it spread to other provinces. In a matter of days, and it was very difficult to get news out on what was going on, the entire country was literally up in arms – of 40 provinces, well over 30 of them were engulfed in popular revolt. The word of one uprising spread from region to region, and people shed their fear of the authorities and rose up. The Ceausescu regime took its usual take-no-prisoners and give-no-ground approach to these uprisings and ordered the security forces to do whatever damage they could to break the will of this incipient uprising. Blood flowed. We found ourselves in Washington dealing with a major bilateral crisis that would become a major international crisis. You not only had the prospect of widespread violence within Romania that conceivably could spread to other countries where ethnic ties were strong, but you also had a sizeable U.S. and international community in Romania that was very much threatened by the domestic violence. Nobody was pointing a finger at the Americans for having provoked any of this, but in fact we were there and we were very visible…. It was actually thought that the unrest would die down because it was Christmas season. Things would not explode over Christmas. The regime might indeed survive this threat because who is going to provoke a revolution over Christmas? [Despite the fact] that the regime didn’t recognize Christmas or any of the traditional religious holidays, and had suppressed the churches. It was in league with the Romanian Orthodox church in seeking to maintain a degree of calm and submission. In fact, the churches and religion did not play a major role in influencing public policy in Romania, as the Catholic Church did in Poland and as both Catholics and Protestants did in Hungary. This being the harsh winter season, with little food on the shelves, conditions didn’t seem promising for sustained civil unrest, and perhaps everything would blow over by January — but it didn’t. In the course of less than a week, we had to deal with a large-scale, violent national outburst against the Ceausescu dictatorship, a true revolutionary transformation. 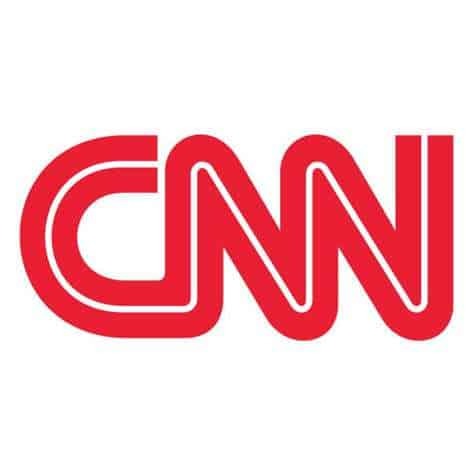 CNN was on top of it. The best reporting we got were visuals from CNN in Romania. We were suddenly faced with evacuating a good-sized embassy in the midst of a violent conflagration. It couldn’t be done through military airlift, as the airports were closed. We were in no condition to fly troops into in this landlocked Communist nation and help our embassy. So, the Department painstakingly organized a vehicle convoy from Bucharest to the Bulgarian border and their reception by Bulgarian and U.S. officials at the border. It was a harrowing enterprise, moving embassy employees and dependents to safety over 100 miles of territory thought to be swarming with Romanian army and security units as well as armed insurgents intent on seeking out the security forces and doing damage. We had an evacuation agreement with Britain, but we took it upon ourselves to accept into this convoy any member of what remained of the international community who wished to travel with us. There were some embassy vehicles, but most were private vehicles. We hoped that since we were not the targets of violence by either side we could get our people to the border. I seem to think that it was a two-to- four hour trip. Obviously a large convoy, containing a couple of hundred people if not more, would move much slower than one or two vehicles. One the vehicles got under way, the Department’s Romania crisis task force, assembled in the 7th floor Operations Center, could only look on and listen. There were actually two crisis task forces running on the 7th floor at the same time. Operation Just Cause in Panama had been launched on the 19th or 20th of December, and the Department immediately set up a task force. The dramatic events in Romania began on December 17, I believe, and our task force was established at almost the same time. Since I was as the desk officer, I was designated deputy coordinator of the Romania task force. I think the East European Affairs Office Director was the coordinator. We sat there and monitored the situation on a minute-by-minute basis. I recall there was a lot to monitor, but there was relatively little we could do. We watched the drama on CNN as Ceausescu disappeared from the Presidential Palace, about the 23rd of December and nobody knew where he or his immediate family was. He and his wife were apparently identified and picked up apparently by Romanian army units which, unlike the state security forces, had by and large had refused orders to fire on the civilian population. YOUNG: On December 21, in Bucharest, we saw the crowd surging back in the other direction and we heard some explosions from the square. The embassy security officer ordered the consulate closed and doors locked. I had about a dozen visa applicants who were still in the waiting room. There were maybe 8 or 10 Romanian employees, and I think two other Americans, and myself still in the building. We just didn’t know what was happening. We went home that night, but came in the next morning to hear that there had been many deaths in the square during the night. Troops had used tanks to run people down. Nobody was sure what was happening, but the common wisdom was convinced there would be massive repression. It was the next day that Ceausescu tried to escape by helicopter from the Party Headquarters Building. He reached his summer home, took off by car, and after that was apprehended. The revolution was under way. The Embassy evacuated volunteer officers and their dependents. Then they made departure mandatory and cut the embassy to what was supposed to be a bare bones operation. That meant that my husband was evacuated. In fact, there were three women whose jobs were considered essential and whose husbands were sent home. Don, my husband, spent the remainder of the revolution in Southern California and I spent it sleeping on the floor at the Chancery. We who were left remained in the building. We were lucky, in that there was a small commissary that was supplied through a support flight from Frankfurt once every second month. We had just had a support flight early in December, so we did have food and water right there on the compound. There were about 20 of us who stayed. As things became calmer, the Ambassador used his armored car to send us home to have showers, change clothes and just get away from it all for a couple of hours, and then return. I have a couple of bullet shells that were lobbed into my terrace door. Our house was near the television station which was the scene of some very hard fighting, that first night after Ceausescu had left. Nobody knew where he was. The thought was that he was regrouping and coming back. There were all kinds of rumors. He had security forces that they said included orphans that had been taken as children and trained as an attack force; they said that he had Arab students who had been studying in Romania, but were really terrorists. People were very suspicious and fearful, especially when they observed dark, Arab-looking men…. We were on the phone to Washington a lot of the time. My particular job was locating American citizens and reporting back to their families that they were all right, or not all right. We did not think we had very many Americans in Bucharest or in Romania on any given date prior to the revolution….Then, of course, with the revolution, journalists came pouring in, and other interested bystanders. We had people come almost immediately to do surveys for possible food aid, etc. My most dramatic story from the revolution concerns the highest ranking security officer in the Ceausescu government, whose name was Pacepa. He had defected eleven years earlier. He left a wife and a daughter behind in Romania. In 1989 the daughter was a young woman 33 or 34 years old, and married. We knew that she worked for a film animation studio, both she and her husband. 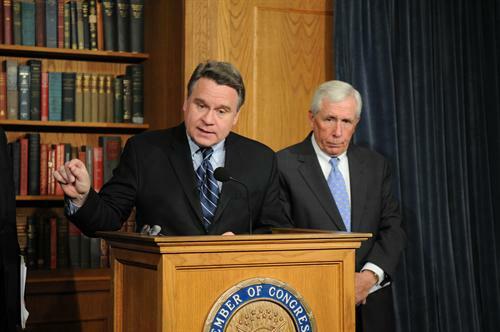 Her father became quite close to Congressman Frank Wolf of Virginia and Congressman Chris Smith of New Jersey. They had been pushing us to communicate with Dana Damiceanu, the daughter. We tried but the apartment where we believed she lived was surrounded by security officers. I would go over and just walk past every few weeks and report by cable that I thought I had seen her (judging from a photograph), and that the police were still there. I had, just before the revolution, finally called the film studio and asked for her and spoke to her on the phone, which was amazing. Her father kept saying that we had to get her out. We said that she hadn’t even indicated that she wanted out. We believed there were many ways she could have gotten a message to us, but hadn’t. On the phone, she said that she would like to leave but she wanted to do it legitimately, whatever that meant. She would never have gotten exit permission from the Romanian government under Ceausescu. We thought it was a moot subject and we were afraid that our attention would just make matters worse for her. Well, came the revolution. It was four or five days after Ceausescu was assassinated, the week between Christmas and New Year’s in 1989. It had begun to snow. The vice consul and I walked over to the apartment where Dana was living. When we got there, there were no security police. There was an unlocked abandoned car in the courtyard. We looked inside it and saw security police jackets with typical insignia that had been abandoned. Obviously, her guards had just fled. We opened the glove compartment and there was a photograph of me, my passport picture, with my vital statistics written on the other side. They had obviously been watching out for me as I came strolling by. So, then we made arrangements for her to talk to her father. The next day we went over to pick her up, walked over in the snow, brought her into the Chancery and placed a long distance call to her father. I have photographs of this gathering. I was aware it was a moment in history. I was prepared for some made-for-TV emotional moments. To my surprise it was, “Daddy, you have to do this and this for me, and you know [Sergui] Celac, who is now the Foreign Minister, he is your old friend, so he can help.” It was a real nuts-and-bolts conversation. No tears, no overt sentiment expressed. Congressmen Wolf and Smith were the embassy’s first Congressional visitors after the revolution. They came the 2nd or 3rd of January. We managed to work with the new provisional government and persuaded them to issue passports to all four members of Pacepa’s family — his daughter, her husband and parents-in-law. I was the control officer for the Congressmen and took them over to meet the family. The family and the Congressmen left Romania together, two days later. There was a moment at the airport when, after all of this time, the daughter was finally going to join her father in the United States. As she was leaving for the runway, she came running back to me and said, “Take care of my mother,” and then left. I thought, “Oh, my goodness, am I going to have to go through this all over again?” But the mother never contacted us. Actually the father had remarried in the United States and had divorced the mother. So I never heard anything further from any of them. BECKER: The army basically broke ranks, stood aside and indeed there were reports of clashes between the army and the Securitate, the professional state security force. The army caught the Ceausescus and lined the two of them against a wall and executed them. The army unit filmed the execution and broadcast it on state TV…. When events unfolded, they happened very rapidly and there was never an instruction, not even a suggestion, that we might intervene diplomatically. I don’t recall ever discussing the scenario in any of our staff meetings that we might try to persuade some other country to take the dictator and his family, a la Haiti, and allow Romania to pick up the pieces without that impediment. 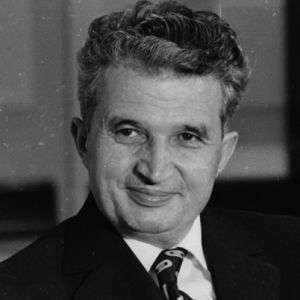 To the very end, and despite the National Day rebuff in the streets, Ceausescu was supremely confident in his ability to maintain control. Had we raised the issue, he probably would have laughed at us. It was not raised and there was never any instruction. Part of it may have been that the tumultuous events in Romania were upon us without any real prediction or warning, and the myriad of other events, largely positive and evolutionary, taking place elsewhere in Eastern Europe were consuming our attention. Romania was certainly not seen as an environment that was propitious to our influence or our change. When the Ceausescus disappeared from sight, they had issued orders to the state security people, do your worst, but they dropped out of sight like cowards and nobody knew where they were. Most Romanians were quite accustomed to an environment in which standing up and saying we represent an independent movement was quite alien behavior. Under Ceausescu’s rule, there was no evidence of coup plotting or organizing an independent political or civic movement. Anytime somebody stood up to express a dissenting view, they were ruthlessly repressed, imprisoned, killed or pushed into exile. It was only after Ceausescu disappeared, and more so after it was clear that he and his wife had been executed, that these sorts of things started to happen. Even then, nothing of a popular or mass nature emerged, but rather small groups of party leaders stepped forward to claim the Ceausescu mantle or at least to have succeeded him. Interestingly enough, it was one of those individuals who had been pushed aside by Ceausescu, exiled if you will to a provincial party post after being a member of the Central Committee a some years earlier. 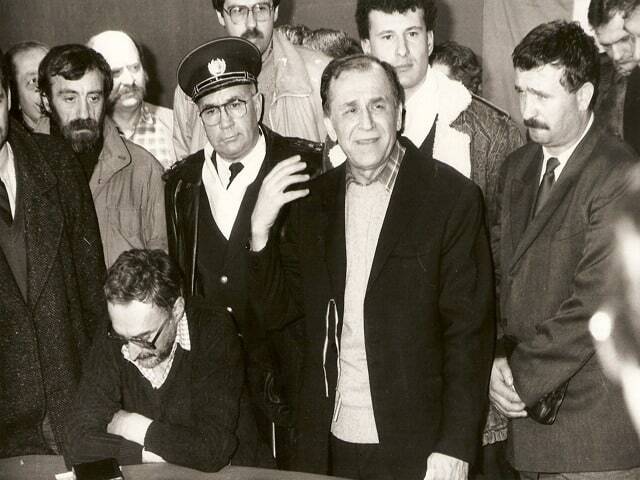 Ion Iliescu (pictured, without a tie) was not given a great deal of weight in the days before Ceausescu was clearly and truly dead and buried. Nobody wanted to put their heads up. Almost overnight Iliescu, who had been a fairly prominent party leader during much of the ‘80s, came forth and claimed the loyalty of the army and of most party leaders. Nobody really quite knew what to make of it. He clearly spoke for the party leadership. Before he made contact with the embassy, as far as I can recall, he appeared in public with a very small group of party leaders, most of whom had been shunned or demoted by Ceausescu. 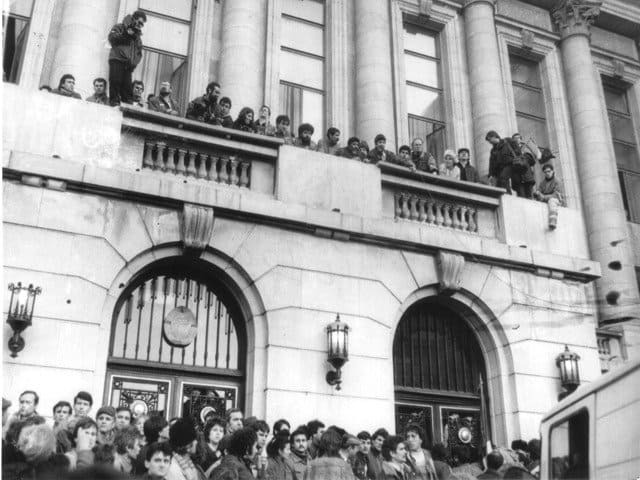 The group stood up on the same balcony where Ceausescu had appeared on National Day and declared itself to be a government of succession, reconciliation and reform. It very much appeared that this group was simply going to do away with or at least push aside the other leaders who had remained close to Ceausescu to the very end. Nobody knew what the character of this new leadership group was. There had been no visible evidence that the party leadership was divided between reformers and traditionalists. From the outside, the party seemed quite monolithic and undifferentiated, except for those individuals who had once held power but had lost favor and position. Did having lost favor with Ceausescu make Iliescu a reformer, now that he was standing up and declaring himself to be the leader of a national reconciliation government? We were not too sure…. There were abundant rumors that the Russians were actively stirring things up to bring the confrontation with Ceausescu to a head, and that certain Romanian party leaders would emerge in the next few days as a successor government and swear allegiance to Moscow and the Warsaw Pact. These proved to be empty of substance. That’s where the students would come to protest. Sometimes the miners came in from the coal mines also to demonstrate there. And this kept on. 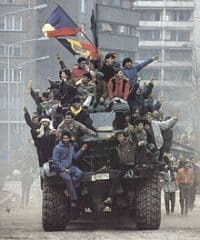 Romania’s was the one violent revolution among all of those that took place at this time. It was an ongoing fight over who would gain power and what the future of the country would look like. One of the big underlying questions was whether the old Communists who’d reinvented themselves would still control things, or whether new leaders and a true democratic system would emerge…. In very basic terms, we were trying to promote a democratic outcome. We were doing everything we could to support a responsible democratic movement and put a brake on some of the more totalitarian remnants that were still around then. Remember that the Securitate, the security organ under Ceausescu, had been everywhere and penetrated throughout the country and into families and so forth. The security forces were a very strong continuing presence there. They didn’t just disappear come the revolution….The security people were still there, as were many of the politicians identified with them. There was constant tension between people like that and some of the strong opposition…. One focus was a battle on a high-policy level over whether Romania would get Most Favored Nation trade treatment [MFN, whereby the country which is the recipient of this treatment must receive equal trade advantages as the “most favored nation” by the country granting such treatment]. They wanted that desperately to lift economic prospects, so that was a lever we could and did use to get them to do such things as open up access to broadcasting and to allow freedom of the press. Television, in particular, had been an important instrument for maintaining Communist Party control. It was a monopoly. It was a main means of communication with much of the public. To me, based on what I saw in Romania and earlier in Poland, television — not religion — was the true opiate of the people. Someone could find a doctoral thesis in how totalitarian regimes used television, I’m convinced. In my particular part of the embassy, we spent a lot of time, pushing, encouraging and otherwise supporting Romanians who were trying to set up independent broadcasting. We also asked the Ambassador and Washington to lean on Romania’s political leaders to loosen their grip. The story was similar with newspapers…. It did gradually open up. For example, there was an independent newspaper called Romania Libera that was really out there in its challenge to the old school hard-liners. Through a foundation set up with U.S. government money, the International Media Fund, we gave them a printing press and printing supplies and got all that stuff admitted into the country. That took an intensive team effort. Television was even harder, because it requires more equipment and other resources; in this case it also required a change in Romanian law, which made broadcasting a state monopoly. Here again, our mission worked at various levels to get reform legislation drafted and passed into law. Eventually we did succeed in that, partly because we made it one of the conditions for granting Most Favored Nation trade status. The resulting end to the state monopoly on broadcasting was an important part of the democratic opening. BECKER: I thought we had made tremendous progress from an extremely low point in 1989. Clearly the country needed much more transformation on all fronts than could be achieved in a relatively short period of time. The poverty went deep into the population. We’re not simply talking about the lack of consumer goods. 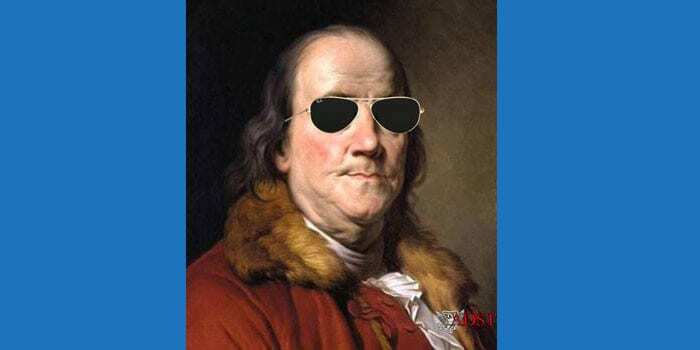 In fact, consumer goods flooded the country as soon as the gates opened, producing rampant inflation as well as all kinds of crazy, unbridled, get-rich-quick schemes. There were ponzi schemes perpetrated by a number of émigrés as well as some homegrown Romanians who got rich almost overnight. 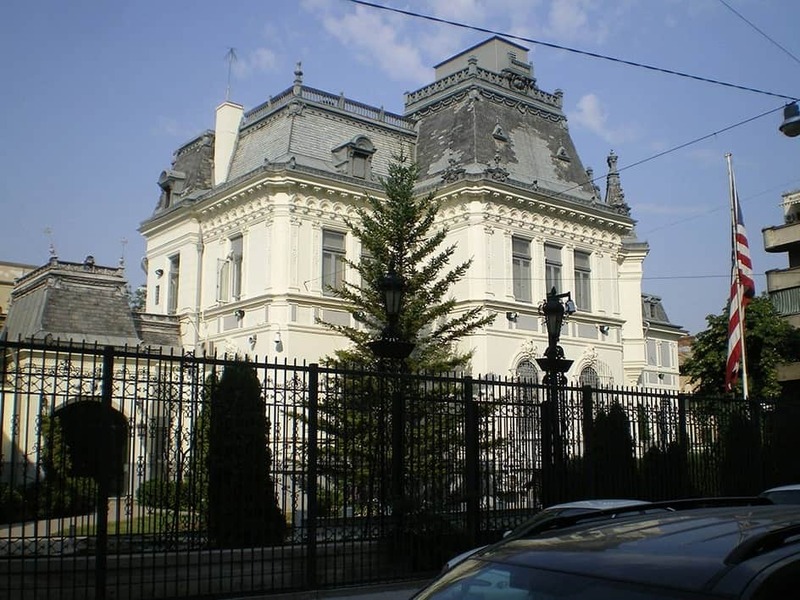 Other Romanians, including some former Communists, became millionaires by manipulating the divestiture of state enterprises. Q: This sort of parallels what happened in the Soviet Union. BECKER: Yes, on a smaller scale it certainly happened in Romania and was one of those conditions that persisted, and indeed to some degree still persists, in the country, which continues to get low marks on the corruption-accountability scale.